This week, we spent two days in Sydney live tweeting from our client’s third annual #ObesitySummit. The common call from politicians, economists, journalists, GPs, dieticians, public health specialists and researchers was the need for clearer communication. There’s no doubt that communication is critical in tackling the obesity problem confronting Australia and countless other countries around the world. Whether it’s developing a consistent language to help GPs work with patients, less complex information for the communities and individuals, or campaigns to encourage people to take action, communications has an important role to play. US economics professor John Cawley opened the summit with a keynote outline the range of costs associated with obesity, and the need to present an economic argument. This provided a clear outline of why we need to understand the economic impact and how we need to build that into communications about the issue. Other speakers added further economic data on direct and in-direct costs to individuals and society. These included a great presentation from AusBIG, an organisation raising awareness of the complexity of safe and dignified physical management of bariatric patients. News Ltd journalist Sue Dunlevy told the #ObesitySummit attendees that they needed to develop a much clearer message around obesity – because at the moment it’s far to complex. This was welcomed feedback, but is just further evidence of the complexity of the issue. 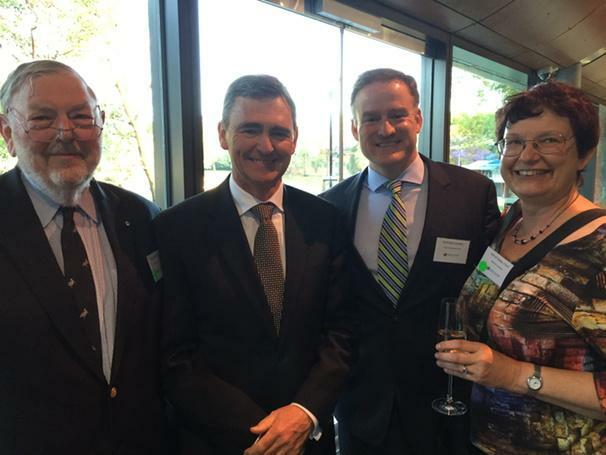 Other speakers included former Victorian Premier John Brumby, Victorian Cancer Council CEO Todd Harper & Obesity Australia board member Geoff Walsh AO.